In this beekeeping for beginners and advanced beginners class, learn best management practices and techniques to help keep honey bees healthy and productive in urban areas, suburban and rural settings using all-natural, bee-friendly methods. Participants learn about the many aspects of beekeeping, observe a bee hive up close, learn how to install and care for honey bees and get complete instruction about setting up their own apiary (bee yard). Instructor Jesse The Beekeeper from EastCoastHoney provides a series of hands-on demonstrations, assistance with ordering honey bees, beekeeping equipment and setting up your hive. 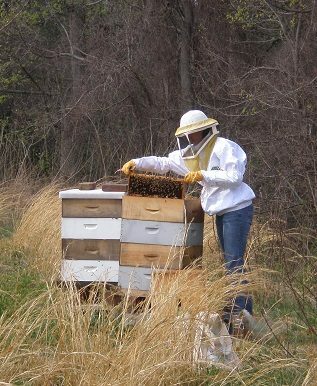 He can also be available to provide on-site consultation once your hive has been installed. Participants will be ready to install a package of honey bees in April 2019 and be off on their journey as beekeepers. *This course offers 3 hours of elective credit toward the Gardening and Garden Design Certificate Program. Non-certificate students welcome.